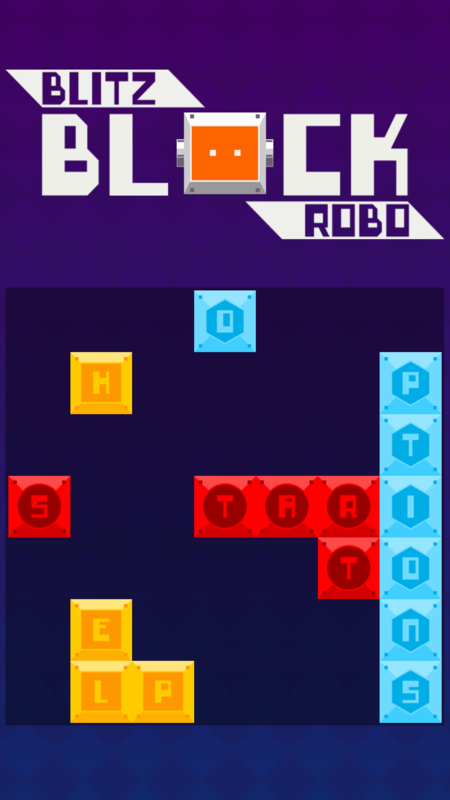 Blitz Block Robo is the second offering from Nexus Game Studios on Android. The developers had held off on releasing it as they felt it could be better than it was. I’m glad they made that decision. Read on through the game review to find out why. Upon opening the game for the first time, you are prompted to log in with your Google Account. With leader boards supported, I recommend doing it if you wish to compete with your friends and others around Google Games. After logging in, or opting not to, you see the start screen, simply slide the first letter of the word over to complete it, and you’re taken into your selection. Options allows you to toggle the music, sound fx, and flair text on and off. The Game Services button allows you to view leader-boards from Google Play. The leader-boards are standard, supporting all three difficulty levels and showing both your friends from circles and public standings. Help is, well, helpful. You’ll learn the basics of the game. Start gets us into the game after selecting the difficulty. The objective is to get the highest score possible before the end of the game. There is a timer based on your moves. You have to get your Blitz percentage to 100% before time runs out. Failing to do so will end the game. 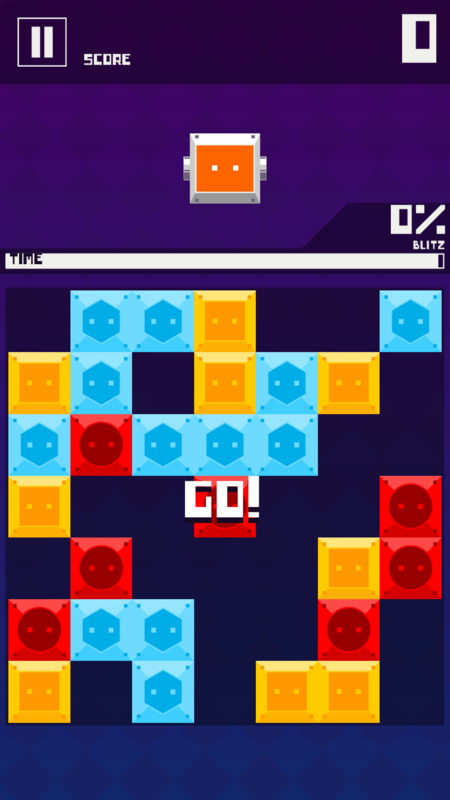 Gameplay consists of sliding bots to make a large group of the same color. The larger the match you make when you clear, the higher score you get from completing it. Try to make the largest group possible before the timer runs out to maximize points. You will encounter different kinds of bots. 2X bots are multipliers. The more of these in your grouping, the higher your score. 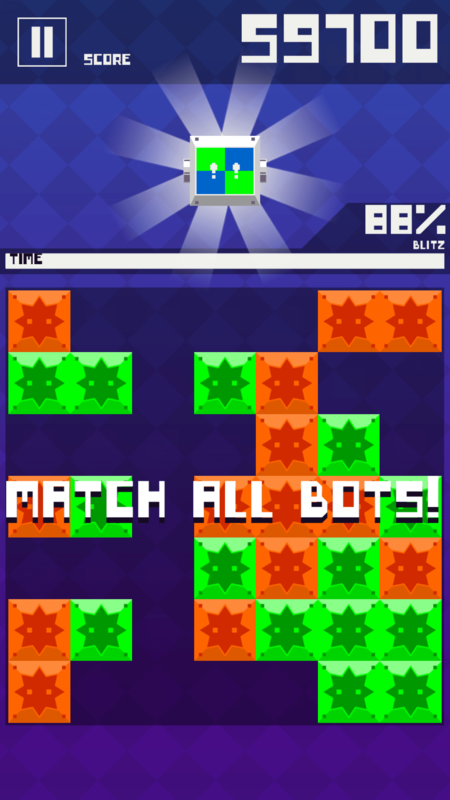 Multi-colored bots can be used to make a match with any group regardless of color. Multi-colored bots with arrows will clear the row when matched. Tap these to change from horizontal to vertical, or vice-versa. Gray bots are “dead” bots. Tap them three times to clear them. Bomb bots will have a gray square with a red circle in the middle. Tap and hold on these to clear them before time runs out or they create a large square of dead bots. 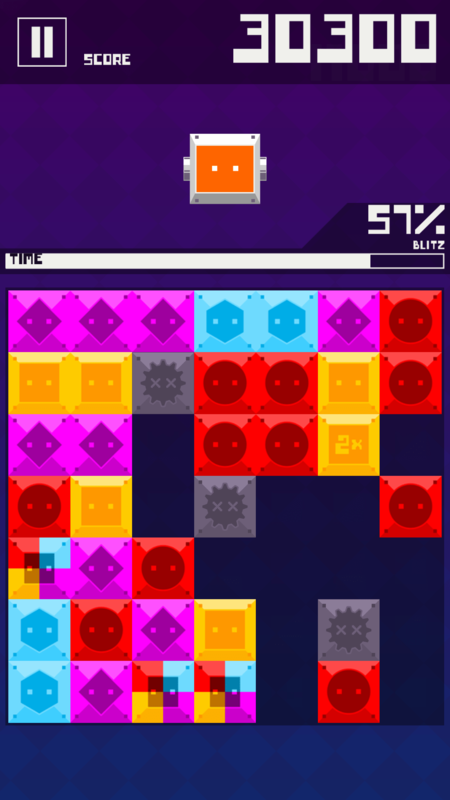 Upon scoring 100% Blitz, you’re taken into a bonus round. In this round, the object is to clear the board of all bots. There are only two colors and no extra bots to worry about. Simply match and clear them to gain a bonus score at the end of the game. Also given is a biggest chain bonus. When your game is over, the score is tallied. If it’s your best score, it will be displayed on the Play Games leader-boards assuming you opted into the service. You are given options to restart or go to the main menu. This game is an absolute steal at a dollar. It’s a great mix of action, puzzle and strategy. Every game play experience is unique and engaging to be endlessly re-playable. Marius Masalar did a great job with the music and the Nexus Game Studios guys did a great job. I applaud them for it. Think you can beat me on the leader-boards? Grab it at the link below and give it a shot!